Eric “Bean” McKay, a 15-year-old Woodbridge, Virginia boy who won a lifetime supply of peanut butter from Lidl grocery store, will get his picture on the label of Lidl-branded peanut butter, with some of the sales going to a nonprofit autism advocacy group. Eric “Bean” McKay, a 15-year-old Woodbridge, Virginia, boy who won a lifetime supply of peanut butter from Lidl grocery store, will get his picture on the label of Lidl-branded peanut butter, with some of the sales going to a nonprofit autism advocacy group. Bean, who has autism, eats peanut butter on toasted English muffins three times a day. When Lidl had a sale on its peanut butter last year, McKay’s mom Tracy stocked up on 72 jars of it. Bean, who ate it all, tweeted a picture of the empty jars to Lidl, which gave him another 72 jars and then promised a lifetime supply if he could get 72,000 retweets. Which he did, and then some. Bean then donated a portion of his winnings to workers affected by the federal government shutdown this year. His father was a furloughed federal worker. Now Lidl is launching a campaign this month to raise awareness of people on the autism spectrum. April is National Autism Awareness month. 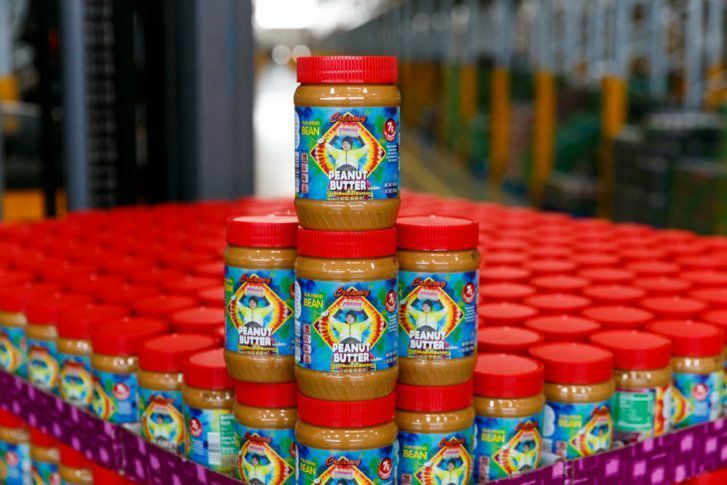 The limited-edition peanut butter jars with Bean’s picture and a tie-dyed motif (Bean’s preferred clothing style) will be sold at all of Lidl’s U.S. stores starting April 11. Lidl is also pledging 10 cents of the proceeds from each jar to the Autism Society of America. And for one night each week in April, Lidl will also make its stores sensory-friendly, by reducing ambient lighting and sounds that make shopping a challenge for sensory-sensitive people. Stores will eliminate in-store music and announcements and turn off the sound on checkout scanners. Shoppers can also donate to Autism Society of America online.